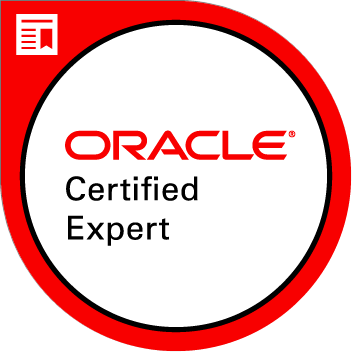 An Oracle Certified Expert, Oracle Database 11g Release 2 SQL Tuning has demonstrated proficiency tuning efficient SQL statements. He or she also has the ability to identify and tune inefficient SQL statements, automate SQL tuning and manage optimizer statistics on database objects and more. Candidates who hold this certification retain access to the eCertificate, logo and badge. They can provide certification verification to a third party through certview.oracle.com.